The Only STOP You Need! 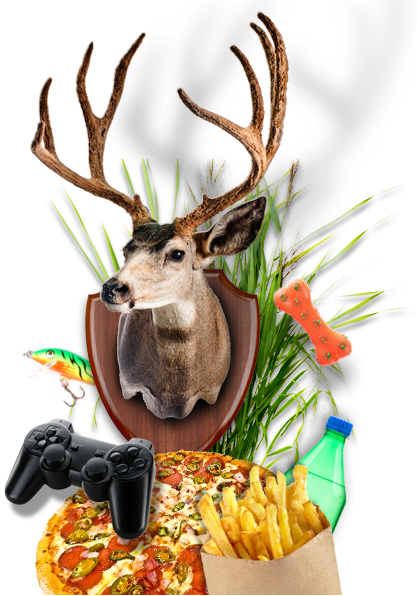 We offer the widest selection of quality food, beverages, bait, and fuel - all at the lowest prices. Debate: Red or White Wine? There is a debate amongst wine drinkers as to which is better, red or white wine. Some people will only drink red wine and others will only drink white wine, but all wine drinkers can agree that wine is just delicious. There are even studies showing that wine can actually be good for you in moderation. One glass of wine a day is considered in moderation, but not all wine is created equally. Red wines are made by crushing red or black grapes and then transferring them to oak barrels or stainless steel vats with the stems, seeds, and skins to ferment. The skins, stems, and seeds give red wine its beautiful color and the plant compounds that lend it health benefits. These plant compounds show up as tannins, which help give the wine flavor, and antioxidants, such as resveratrol and flavonoids. Red wines are considered heart-healthy because they prevent damage to blood vessels and reduce LDL cholesterol. Most red wines tend to be fairly dry, like Merlot and Cabernet, but there are some popular sweet red wines, like Port. White wines can be made with white or red grapes. After the grapes are crushed, the skins, seeds, and stems are removed before being transferred to the vats for fermentation. With this process, white wines lose some of the heart-healthy benefits of red wine because the plant compounds found in the skins have been removed. However, there are new studies showing that white wines provide more health benefits for lung tissues. During the fermentation process, the natural sugars are converted to alcohol and what's leftover are called residual sugars that give wine its sweet flavor. Some of the most common sweet white wines are Riesling and Moscato, while Pinot Grigio is a very popular dry white wine. Looking for some delicious wine? Take a visit to Hartland Mobil today, not only do we have the best craft beer supply and various types of wine but we are also diesel station! Get all the snacks, beverages, electronics, and toys you need for a day on the road. Not to mention, Fenton, MI's premier pizza and take-out! Get your hunting license, bait, ammunition, and gear here! We carry minnows, deer feed, and more. We accept a variety of Fleet Cards for your convenience, including Comdata, Fleetcor, and Fleet One. Are you throwing a party or special event? Get everything you need for your big day! Our high quality food and excellent variety are sure to be a hit at any event. We have Fenton’s best selection, including craft beers, top shelf liquor, and everything in between. Check back regularly to stay up to date on our latest product specials and where to find us at local community events. What Is Diesel Fuel Made Out Of? What is the Difference Between Mead and Cider? The Top 5 Summer Wines! Our professional catering and quick carry-out services are sure to satisfy! We offer premium pizza, chicken, 12" subs, ribs, wings, and more! Be sure to click on the link below to check out our menus and specials. Hartland Mobil cares about giving back to the community! Be sure to click on the link below if you are interested in our sponsorships or interested in more information.